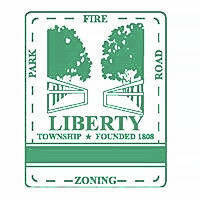 Delaware County Deputy Chief Engineer Rob Riley updated Liberty Township trustees and residents on the status of the roundabout project at the intersection of Liberty and Jewett roads, which is scheduled to start in the summer of 2018. According to officials from the county engineer’s office, the contract was awarded to Strawser Paving of Columbus. Riley said utility companies will start working this fall to relocate utilities to make room so the work could begin. He said construction is scheduled to start May or June depending on how quickly the utilities are moved. Riley addressed residents’ concerns about the traffic at the intersection of Jewett Road and State Route 315 once the construction starts and the Liberty and Jewett intersection closes for three months. Residents asked for some type of traffic control to maintain traffic safety. Riley said other options could include a temporary traffic signal or a law enforcement officer to direct traffic. He said the officer directing traffic during peak hours would probably be the least expensive option. Questions were raised about the status of the bike path that was to be part of the roundabout. He said the engineer’s office would do all the “necessary approach work for the road.” The estimate to make the connection from the roundabout to Derby Drive is $371,000. Riley said the path along Jewett Road would be a larger project and the responsibility of completing the path would fall to the township. He said the road is under the township’s jurisdiction. Riley was also asked about a potential roundabout at the intersection of State Route 315 and Jewett Road. Riley said a roundabout was one of the possible options, but there had been a number of options proposed by ODOT. Riley said if ODOT decided to undertake the project, it would take three to four years to develop before starting construction. He said there have only been conceptual plans made for cost estimates, but no plans to make improvements to the intersection at the moment.